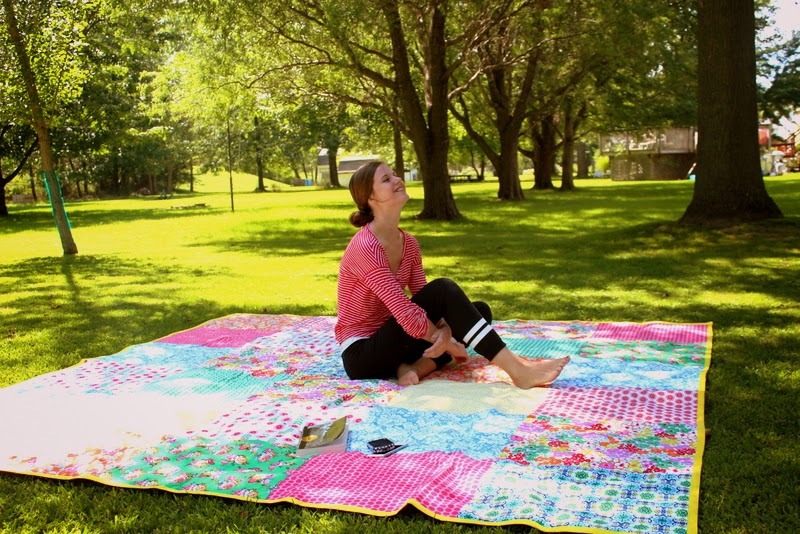 I recently completed another beach blanket using the adorable Jenny Eliza fabrics by Sisboom! My customer originally requested a 10′ square blanket. I didn’t think I could manage that size, so he suggested an 8′ blanket. My regular blanket is about 7′ square. But the extra rows in each direction tested the limits of my strength, patience, machine, and living room floor! But the results were worth it! This blanket is fabulous! (If I do say so myself.) As usual, I don’t have the photography skills to prevent color washout. The fabrics are so much more vivid in person. My customer shared that he has eight kids! 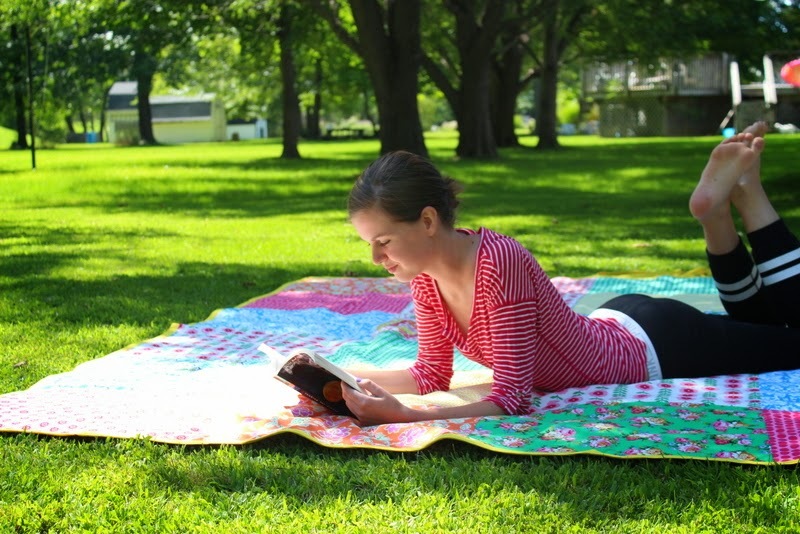 Can you picture this blanket brimming with all the little ones? I can! Here’s a shot of the blanket next to my blanket…..